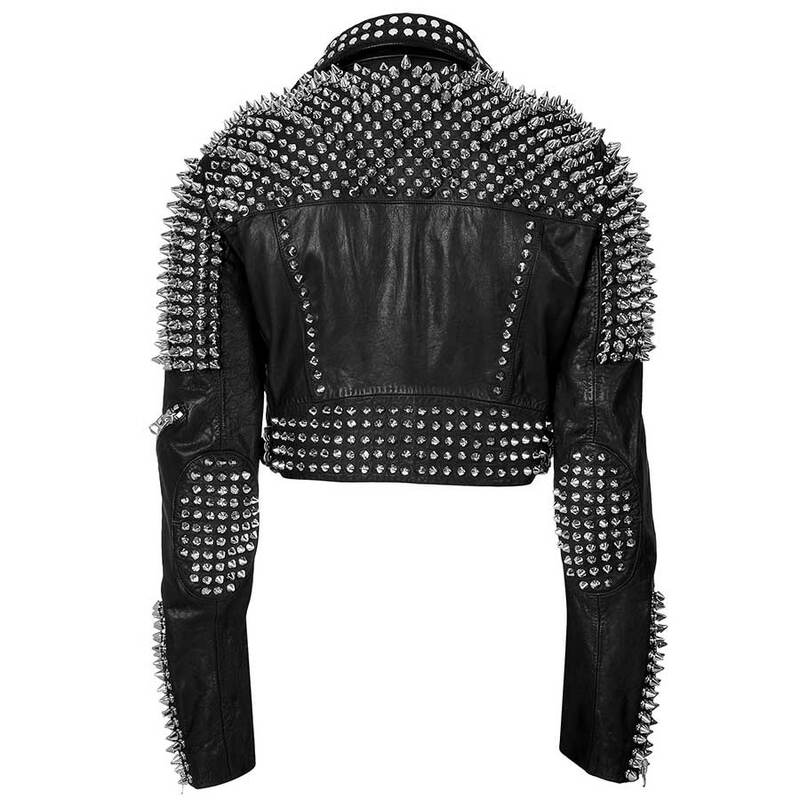 Till The World Ends Britney Spears Studded Leather Jacket is the choice of most of the women who love latest fashion and want to get dressed with impressive outfit. The jacket is ideally slim fit jacket that enhances the femininity of the women and they feel too much confident when they wear the Studded Black Leather Jacket. If you have to attend a social gathering or you are thinking about upcoming business meeting, you do not need to be worry because you have very simplest solution in the form of this beautiful jacket. You can impress all participants of the party by the selection of the jacket. 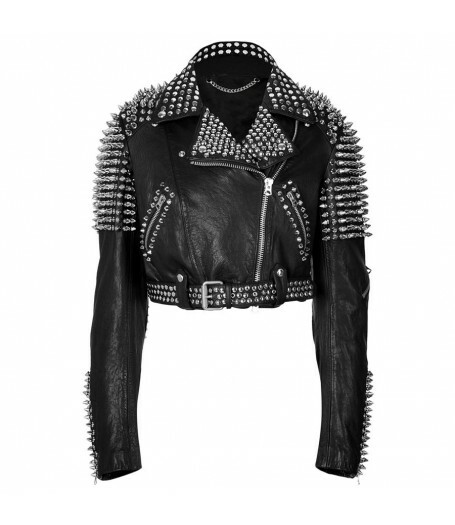 Black Studded Leather Jacket has viscose lining for making it more durable. The extravagant black color has appealing property which gives the brightness to your personality. 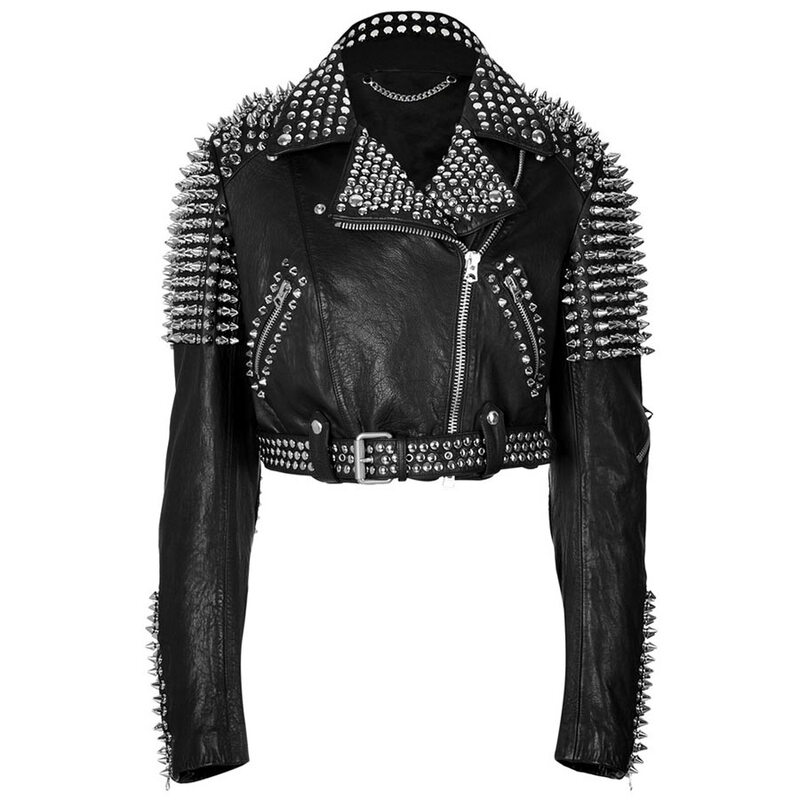 The zipper sleeves are given in the Studded Leather Jacket. 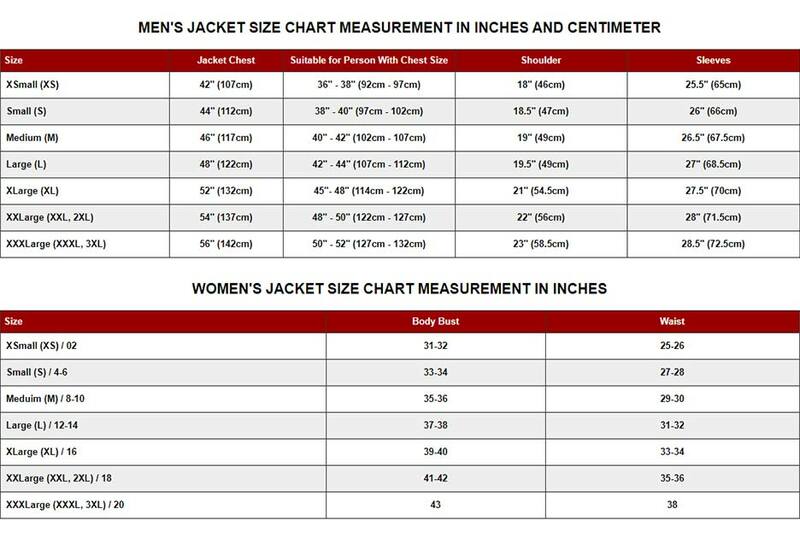 Other important features of the jackets are double shirt style collar, two zipped pockets at waist and the front zipped closure.